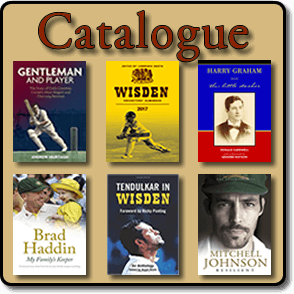 Welcome to Roger Page Cricket Books Catalogue December 2017. Our catalogue is updated every two months. The December 2017 catalogue is packed with a fantastic range of cricket books, including biographies and autobiographies of famous cricketer players. With the catalogue you will also find that it contains a large range of cricket books on a wide variety of subjects relating to cricket, people, cricket tours, ephemera and cricket collections. Our popular section on Forthcoming Cricket Books keeps you up to day with your cricket reading.